This blog is mostly about cooking adventures, but occasionally I write about our adventures around the world. 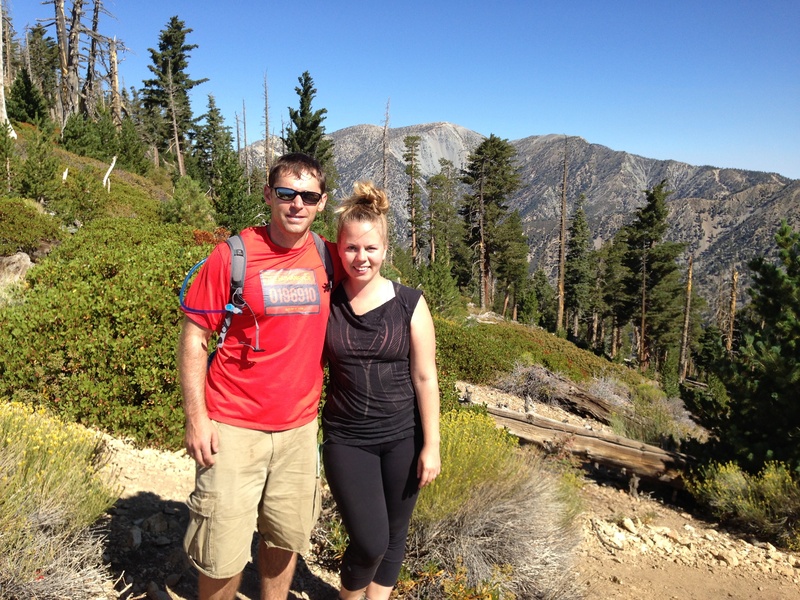 This photo is of the hubs and me in the Cucamonga Wilderness Area outside LA. I grew up in rural Wisconsin with an avid gardener and respected home cook for parents. I picked fresh lettuce with my dad barefoot in the garden for salads that we’d eat out of mixing bowls, and my mom spent entire days making enough pico de gallo to last us through winter. In reality, it would last about a week. I went to undergrad in Madison, Wisconsin, home of one of the best farmer’s markets in the world. It is in Madison that I really started to learn the art of cooking and appreciating food. When I moved to Chicago in 2007, I found myself in a landscape full of culinary opportunity. Sometime in 2010, I started publishing this little online journal of recipes. I am inspired by healthy, whole foods as well as by our travels. I hold a B.S. in Civil Engineering, a Certificate in Technical Communication, and a Master’s in Urban Planning. I make my living doing a combination of these things. My free time is spent cooking, leading run-to-brunch club, learning to play guitar, spinning and biking, reading, and perpetually planning our next vacation. Feel free to drop me a line at wanderlustandfoodstuff at gmail dot com. We love your blog and just wanted to let you know that we nominated you for the Sunshine Award on Bare Bones! Thanks for being an inspiration! Check it out! Hi! I’m Sue, and I’m from SlimKicker, a fitness/diet app and online website. I found your blog a few days ago and it captured my interest! Just to let you know, our online website SlimKicker basically turns your fitness/diet goals into a level up game. The tracker will work in conjunction the website, and allow people to track calories burned and number of steps they walk automatically. The more they exercise, the more points they rack up! That’s basically how it will work. on there. Anyways, I wanted to go with you on your just blog.